Los Angeles County covers 4,000 square miles and is home to a population of 9.5 million individuals; this population is anticipated to grow to 11.5 million by 2020. The unincorporated areas include more than 2,600 square miles, represent two-thirds of the County’s land and one-tenth of its population. There are approximately 120-125 UNINCORPORATED areas (depending on how you define them), some of the unincorporated areas are as small as a few blocks, some are urban centers with more than 150,000 residents and some, with sparse populations, cover hundreds of square miles in the high desert. If they comprised a single city, the UNINCORPORATED areas would be the third most populous in the State, after Los Angeles and San Diego. The UNINCORPORATED areas are both socially and economically diverse. 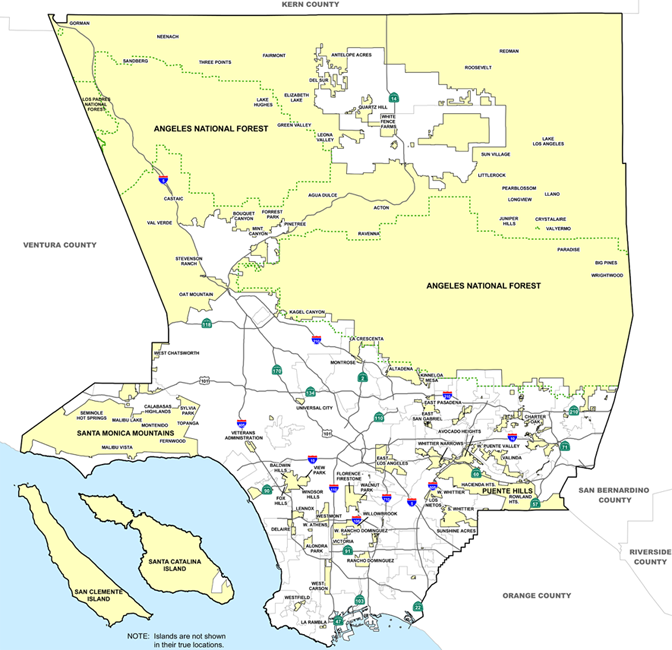 What is an UNINCORPORATED area of Los Angeles County? Because occupants of UNINCORPORATED areas commonly use an adjacent city as their mailing address, there is often confusion of where they belong. To figure out if your property or the property in question is located within an UNINCORPORATED area of the County, you may utilize one of our Interactive GIS Web Mapping applications to determine the jurisdiction of the property. CLICK HERE. Figure 1 is an example of a property located within the City of Los Angeles. If the address is found within a city, Z-NET will display the city name in red at the center of the map. 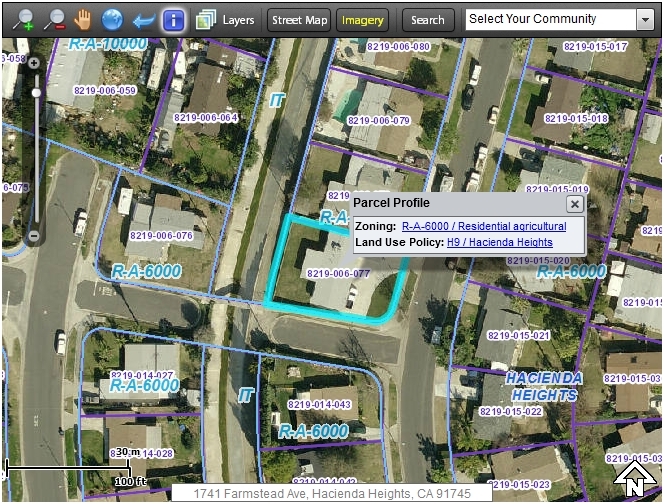 Figure 2 is an example of a property located within the unincorporated area of Los Angeles County. If the address is found within the UNINCORPORATED area of the County, Z-NET will display the unincorporated community in light blue, somewhere on the map. 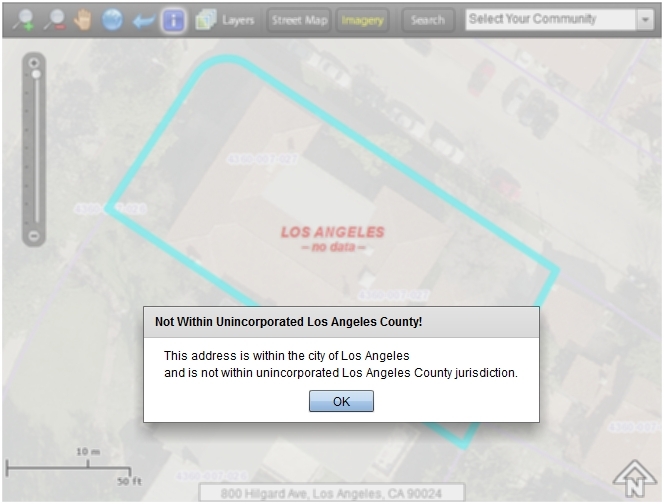 Z-NET also displays the zoning information exclusively for properties in UNINCORPORATED areas as shown on Figure 2. If the property in question is found within a city, please contact the city hall for that city for municipal services - there are links to other cities websites from the information boxes under the Z-NET map window.